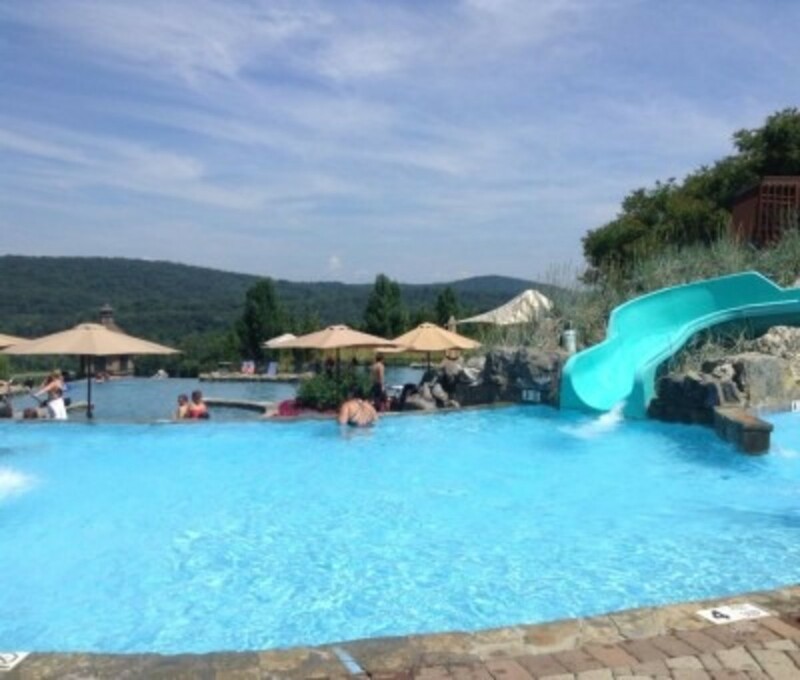 My kids on the other hand say “totally awesome!” So combine those two, add in the fact that you can get to Grand Cascades in about an hour from New York City and you’ve got the perfect place for a family vacation/staycation. With the backdrop of mountains, the gorgeous landscaping, the amazing pools and the family activities, it became my favorite trip of year. At only two full days there, we crammed in a lot and were still able to relax. Even an overnighter is a vacation! *Grand Cascades is part of Crystal Springs Resort which encompasses resorts, golf courses, an adventure center and much more. I’ll start with the big attraction- the Biosphere Pool. A heated indoor pool set amidst tropical plants with retractable roofing and siding for those great views of the mountains and fresh air breezes coming in. 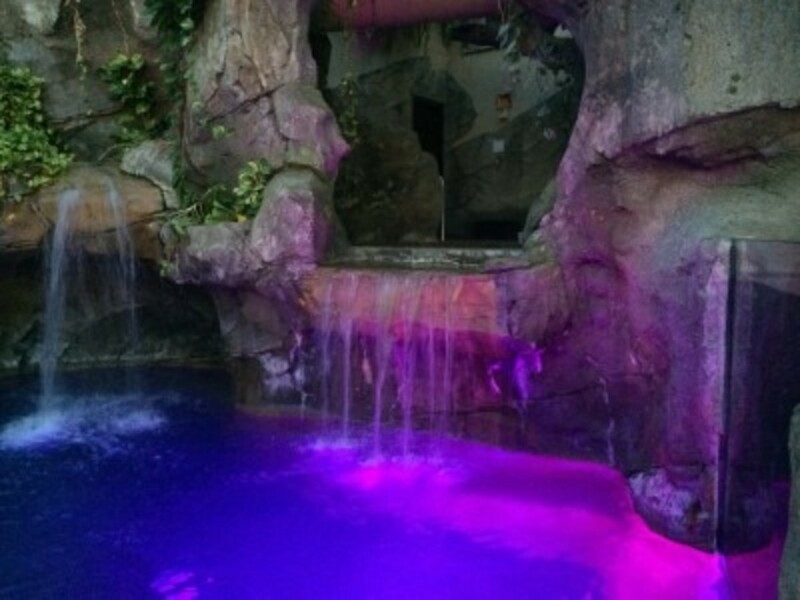 Waterfalls, an aquarium and a pool slide make it extra fun for kids, but the big highlight is at night, when the pool glows in changing colors and creates an atmosphere like no other! We all absolutely loved swimming at night (it’s open until 10pm), watching the sun set and the pool start glowing. The water was warm and the ambiance was kinda magical. I get caught up in that glowing magic, what can I say? Right outside the biosphere is another beautifully landscaped pool with plenty of seating to lounge around on and the sounds of the pool waterfall in the background. Oh, and the indoor/outdoor hot tub was lovely! Now, for the other pools, my personal favorite, the infinity pools. They were stunning. Built in such a perfect location, you get to overlook the golf course and the mountains while just lounging or swimming in crystal clear refreshing water. 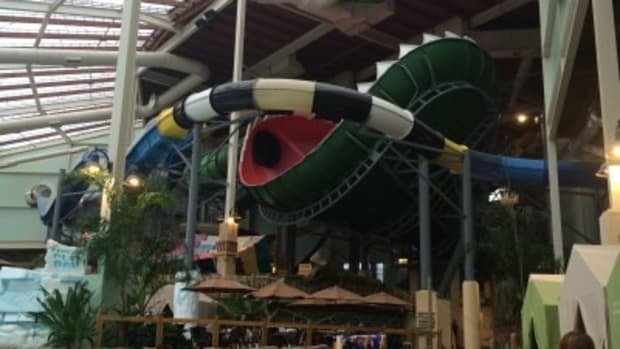 The upper pool has a water slide and a great whirlpool area the kids loved. The lower pool was a bit more tranquil yet they were both connected by just a few steps. 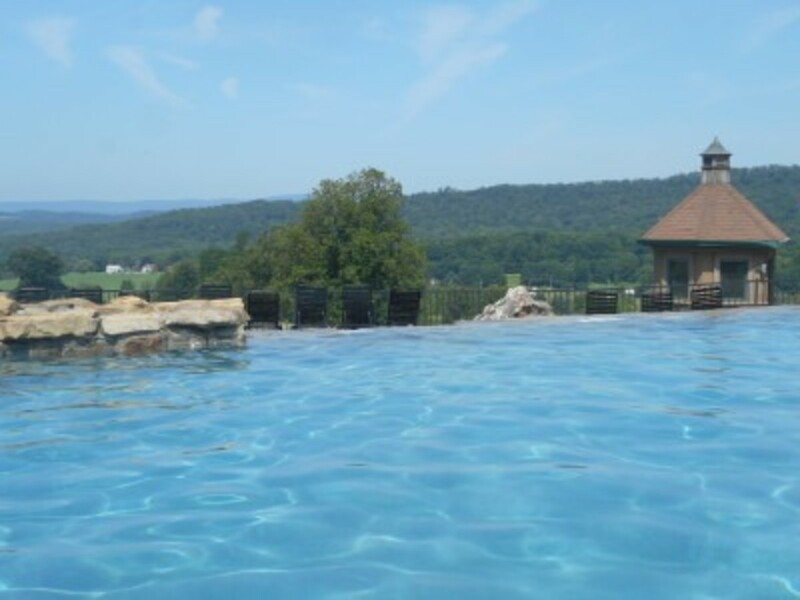 It’s all about location and Grand Cascades pools have that and more! 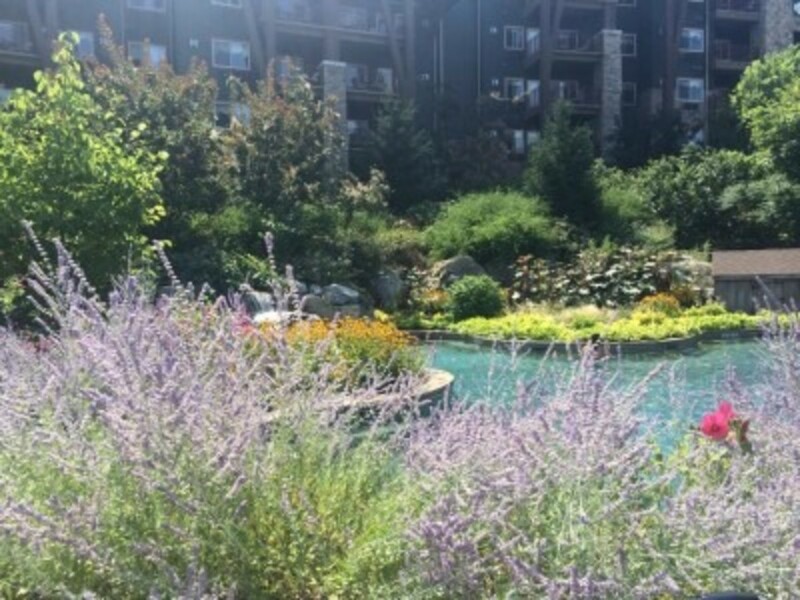 Landscaping at the resort is fabulous, with every nook and cranny filled with gardens, water falls, large potted plants and a tropical feel. I’m really into aesthetics and atmosphere so it was right up my alley. Summer is an amazing time to visit Grand Cascades! I’m sure it’s quite lovely in the other seasons as well and with indoor pools, it’s a year round destination! We would definitely go back! 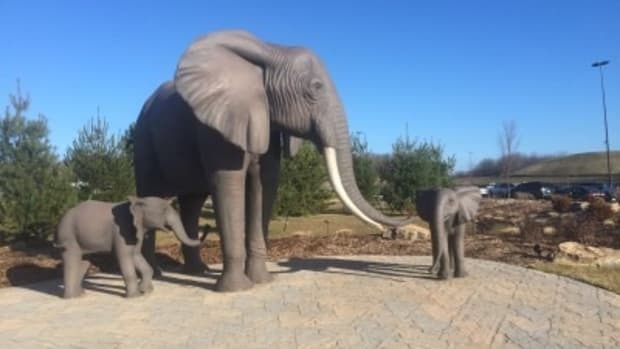 For this busy mom, it really was an escape. 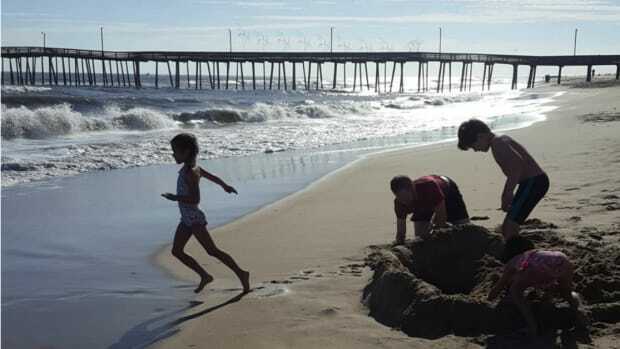 The Adventure Center offers a great array of activities for all adventure levels. We chose the mountain top experience which entailed a 20 minute bus ride (10 on a bumpy dirt road, be warned) to a mountain top lake. It was quiet there when we went with only a handful of families enjoying the peace and relaxation. 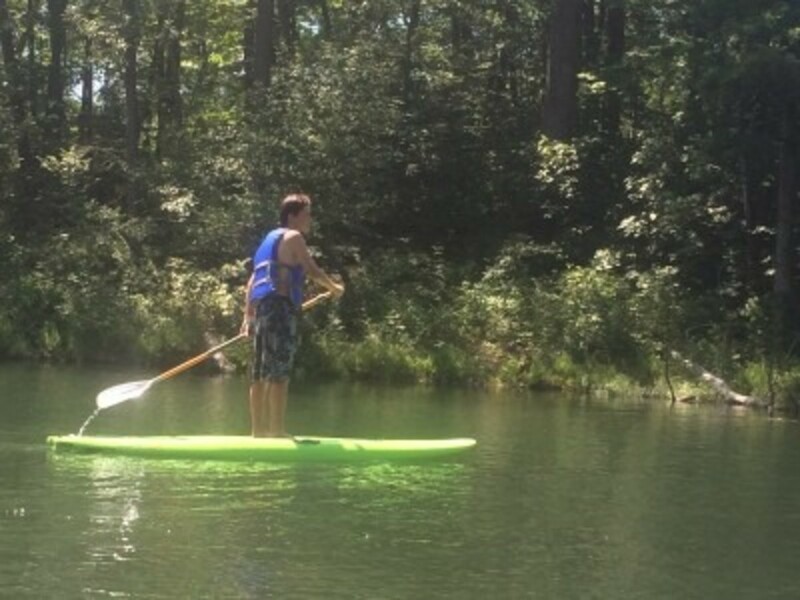 With a nice bunch of water “toys” to chose from, we decided to give stand up paddle boarding a try and each of us loved it. Have to say, I think we’re quite good at it too! The kids also got to canoe, paddle boat and jump off the lake trampoline (what kid doesn’t live for that?) There were also kayaks, fishing and of course swimming. 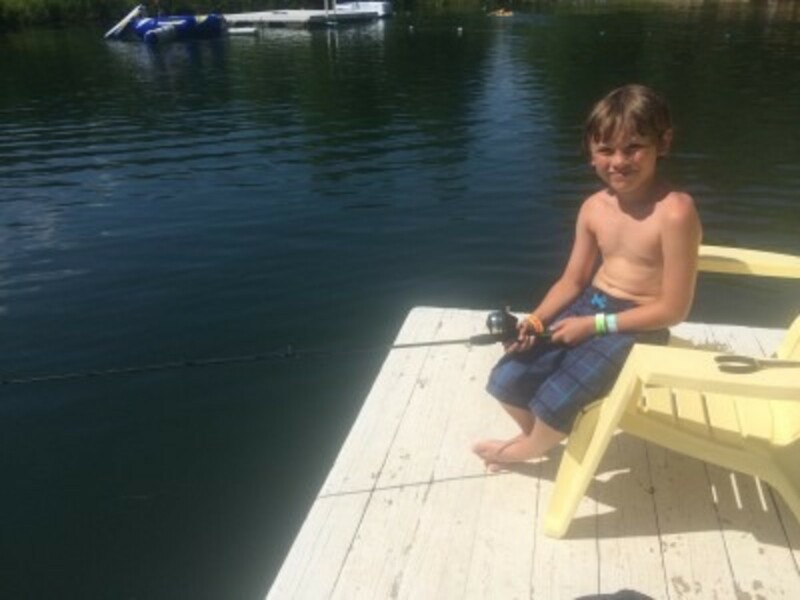 My little one loved fishing and caught his first fish- very exciting times! It’s catch and release of course! You can hike or try your hand at archery too. Horseback riding is available and sounds like a great family experience. These are all for a separate fee listed on their website and some require advance reservations so check into that when you book your stay. 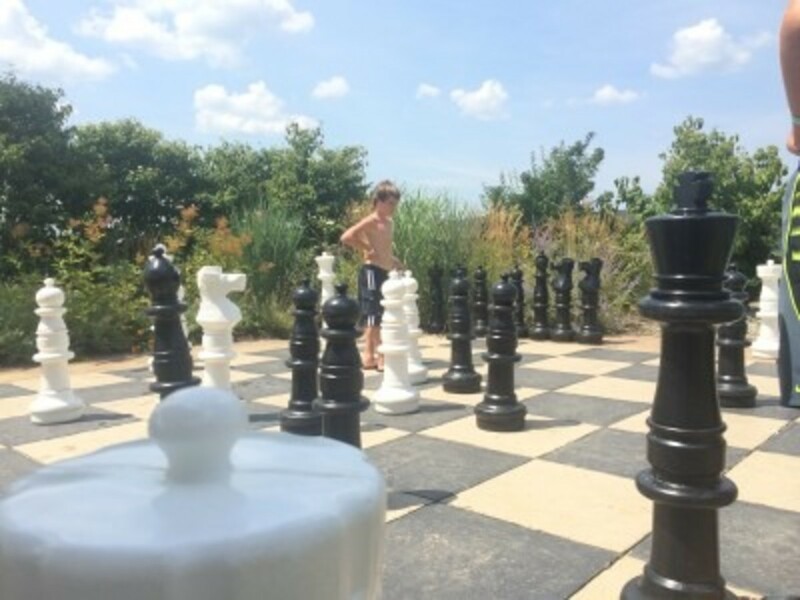 At the Grand Cascades, for families there’s the gorgeous pools, ping pong and a giant chess set. 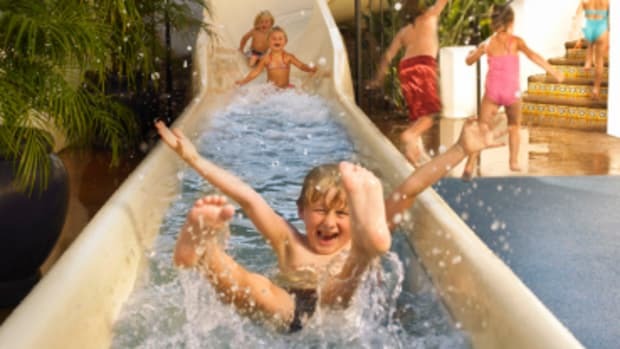 It’s enough to keep you busy if your family loves to swim and slide. 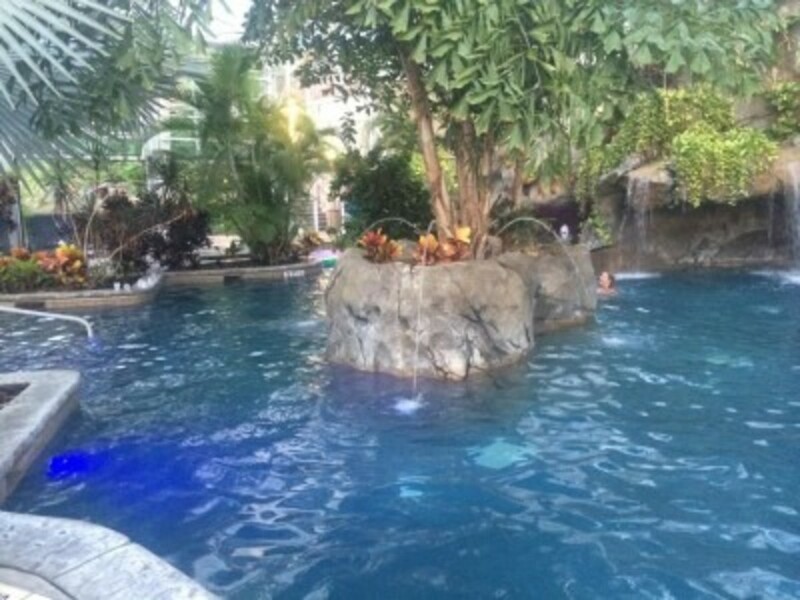 As a guest at Grand Cascades, you also get to go over to Minerals Hotel with their Sports club and their beautiful pools. 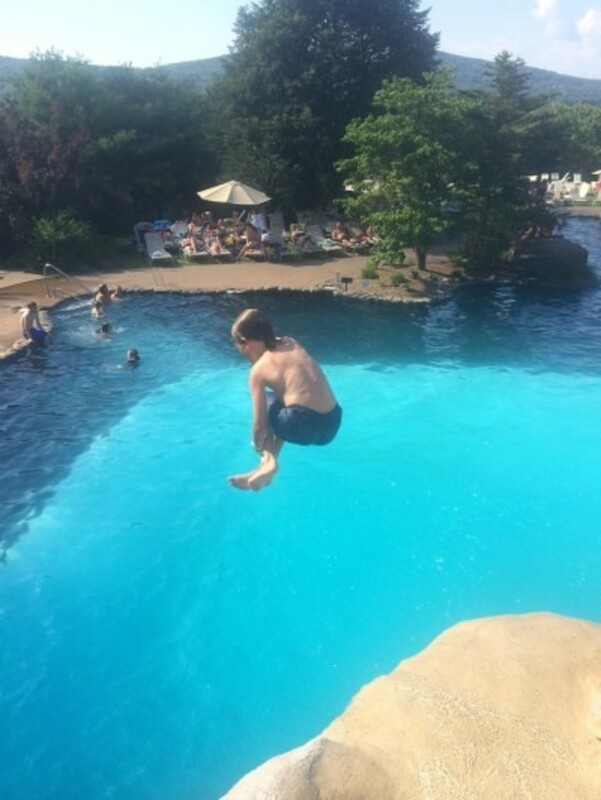 The big highlight there for my kids was the cliff jumping- where kids get to jump off “the cliffs” at 3 different heights into the beautiful pool. They must have done it 50 times each! 13 feet high made me a chicken but I saw a few parents on there too. This was the highlight of their afternoon! Minerals also has a full fitness club, tennis, racquetball and basketball plus a small arcade. They offer memberships to local folks so it can be more crowded than Grand Cascades, but definitely worth the short four mile drive over. The pools were simply lovely. There’s a large one indoors and and two outdoor pools (one is huge) plus a hot tub. I really enjoyed the swim through cave and the waterfalls, so much more than just a pool. Look at my little guy jump! If your family loves golf or just wants to try it for the first time, a stay at Grand Cascades offers family golf or foot golf. 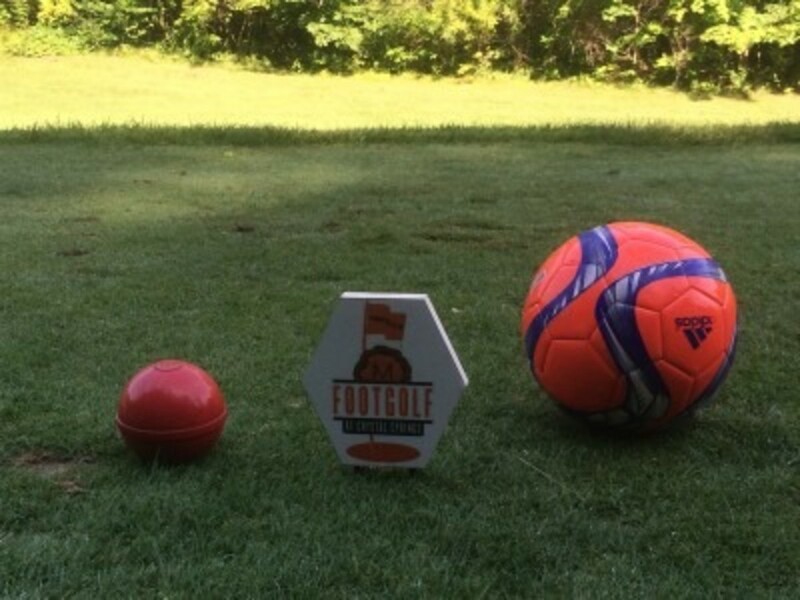 Never heard of foot golf? We hadn’t either! It’s golf combined with soccer- played on a regular course but you kick a soccer ball into larger holes. Needless to say, my two soccer players chose this and we did nine holes early in the morning. You do have to reserve your tee-time and pay separate for either golf game. Dining choices. 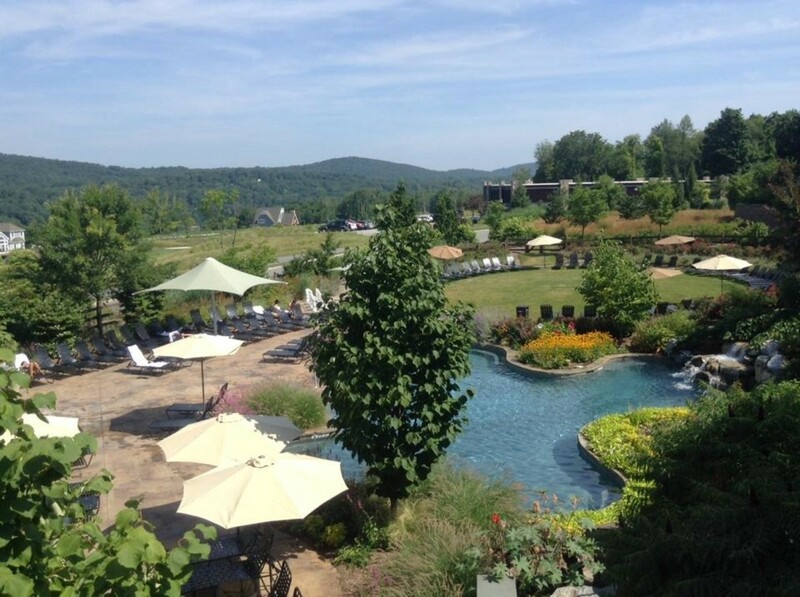 Several restaurants on Crystal Springs properties offer food choices, many geared toward adults but around the pool you can grab more kid friendly food. Kites restaurant over at Mineral’s resort offers a kids menu and serves breakfast, lunch and dinner. We chose to eat off property and found several local places. As a single Mom, this was a good choice for us. Couples may prefer to eat on property. Take a walk through the lovely Chef’s Garden (100% organic) where they pick freshly grown food right there to serve on your plate! 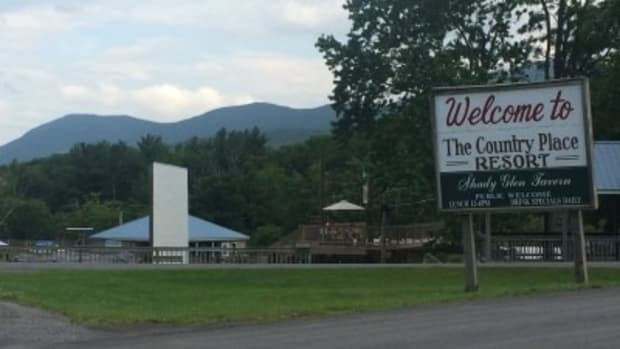 If you want to head off property, local attractions include Action Park- NJ’s “legendary” water park, Mountain Creek Bike Park, Sterling mine tour , a mineral museum, wineries, parks and more. In the winter, there’s skiing. 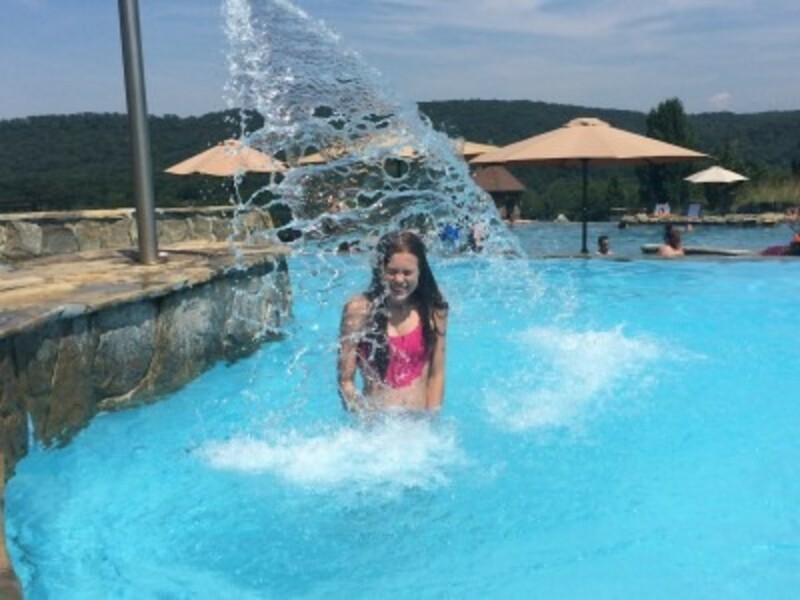 To me, though, it’s the pools that had me chillin’ and happy all day. Check out this infinity pool- it was my favorite! I could have stayed in that pool all day. 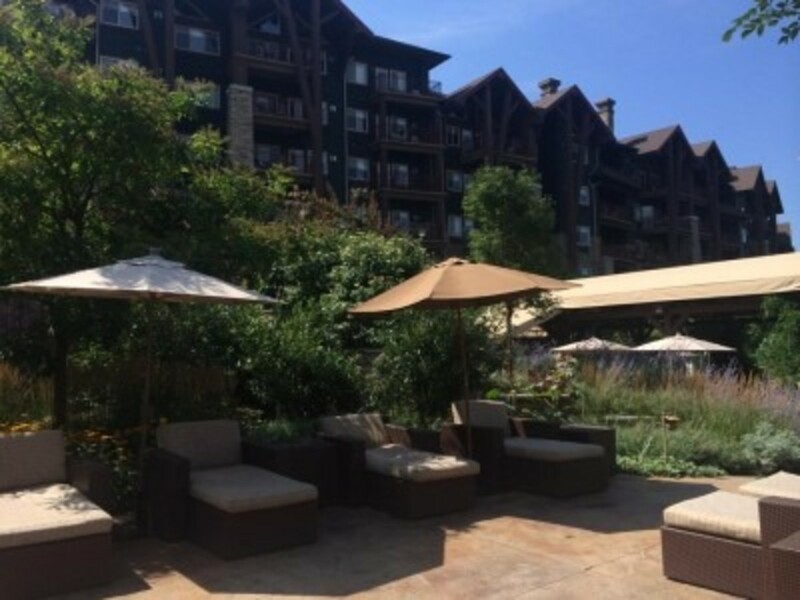 Grand Cascades Lodge or Minerals Hotel? So what’s the difference? Minerals is more family friendly and easier on the budget but if you stay there, you can’t go to Grand Cascades pools. A stay at Grand Cascades however, allows you to use pools at both hotels and of course, their main attraction, the Bio Sphere pool! It’s also a little quieter and upscale and the views from the pools are amazing. I’m thrilled we got to stay at Grand Cascades and enjoy all the amenities like the bed turn down (with chocolates), daily newspaper, gorgeous views, fabulous pools, beautiful decor, super comfy beds, and much more. If you live in the northeast or tri-state area, it’s an easy drive and definitely makes you feel like you are a world away. No planes, no 18 hour drives. Pictures don’t even do it justice, much as I’d like them to. You just have to see it all in person to experience it! 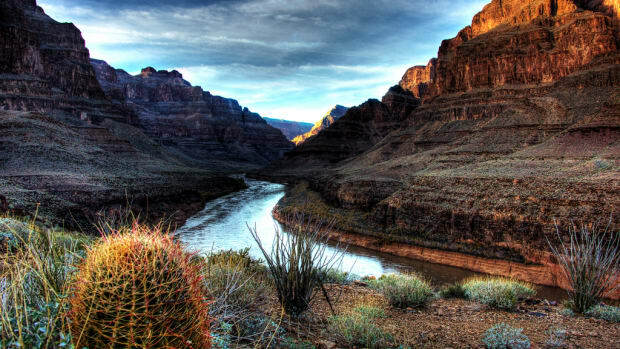 The Grand Canyon, America’s largest and most popular canyon, see nearly 5 million people visit each year. The Grand Canyon is certainly a sight to behold, but we've found 5 other destinations that can hold their own!